Getting the dirt, dust and crumbs out of your vehicle is part of the whole car-care experience, but it can be a real pain when you try to use some unwieldy household canister vacuum to get the job done. 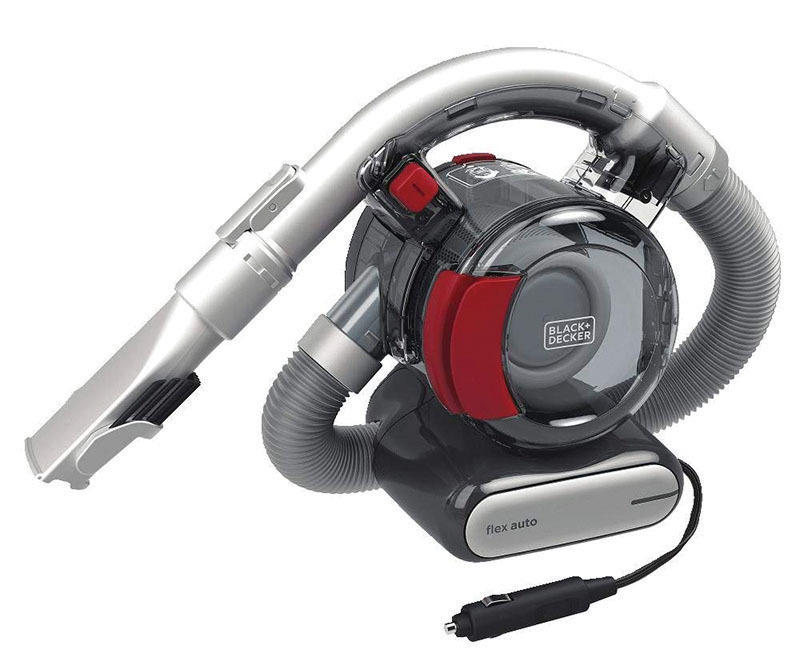 An easier solution is the Black & Decker Flex Auto Vac. The unit’s extra-long power cord plugs into your car’s lighter socket (or similar 12-volt DC power-point connection). The flexible four-foot-long hose connects to a standard nozzle/brush attachment or a narrow crevice tool for reaching hard-to-get-at places. When not in use, the Flex Auto Vac’s storage bag keeps everything in its place. The unit sells for about $45 and can be purchased at www.amazon.com.